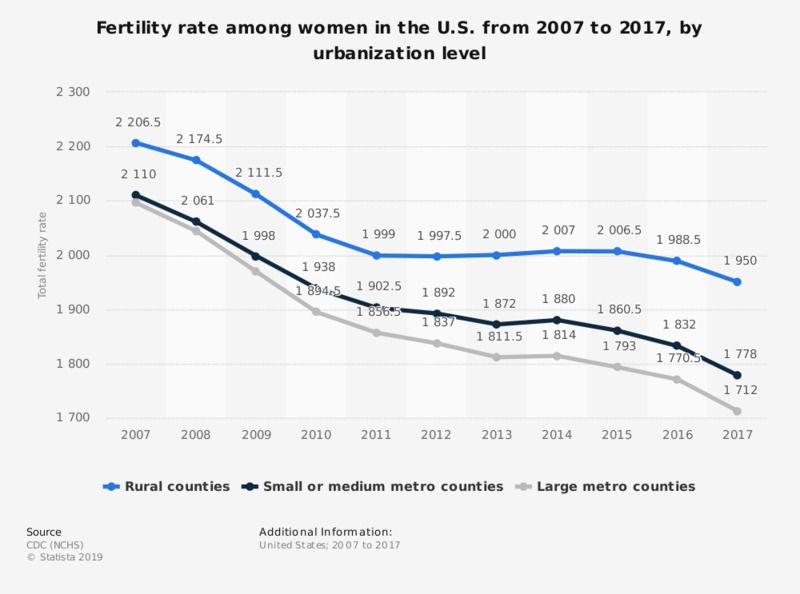 This statistic shows the fertility rate of U.S. women from 2007 to 2017, by urbanization level. In 2017, the total fertility rate of women in rural counties was 1,950, while the rate among those in large metro counties was 1,712. Total fertility rate is based on births per 1,000 women in a specified area. County designation is based on mother’s county of residence.